Last 7 Times Longer Than Premium Alkaline Batteries Per Charge. Rapid Charge. 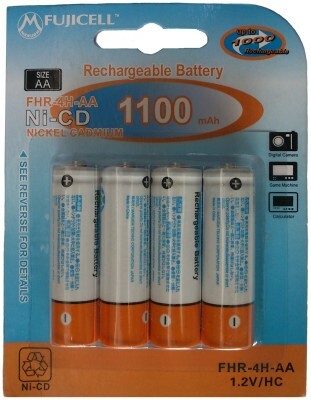 FHR-4H-AA Last 7 Times Longer Than Premium Alkaline Batteries Per Charge. Rapid Charge. 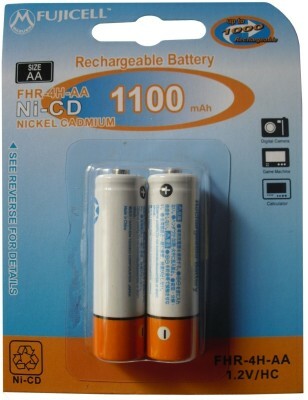 These High Performance batteries are Ultra High Capacity batteries designed to power your High Drain Devices such as Digital Cameras, toys, remote controls, flashlights and MP3 players.These Batteries last 7 times longer than premium alkaline batteries per charge.Voltage is 1.2 Volts.These are rechargeable 1000 Times. 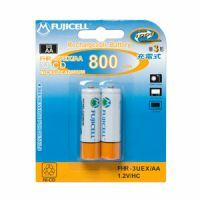 To Recieve updates and possible rewards for Fujicell Fujicell AA 1100 mAh (Ni-Cd) please sign in. To Recieve updates and possible rewards for Rechargeable Battery please sign in.